Use the discussion before and after this practice reading test to help you know what to look for when you take reading tests like the TOEFL or IELTS exams. When taking a reading test,you need to understand exactly what each question is asking, and then to find the information in the reading concerning that question. Skim this paragraph on Psychodynamic Therapies. (Therapies are ways to treat or help people with problems. Psych- refers to the mind, and dynamism refers to active change, so these therapies help people with mental problems to change or overcome them.) 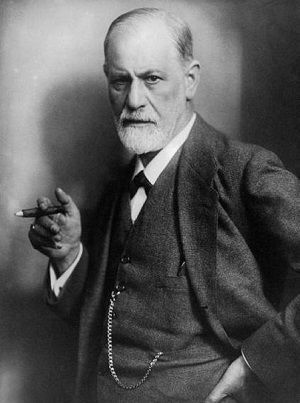 Then think about what you already know about Freud and his theories. Have you heard of any of the psychotherapies mentioned? Read the questions over quickly. Then read the article again with the questions in mind. Now read question #1 and its possible answers carefully. Search the paragraph for the relevant information. After you have finished answering the questions, check your answers and read the discussion below for any that were confusing to you. “The first major approach to psychotherapy was developed by Sigmund Freud and is called psychoanalysis (Horowitz, 1988). Since its origin more than a century ago, psychoanalysis has undergone many changes. Today, Freudian (or classical) psychoanalysis is still practiced, but other variations have been developed—ego psychology, object relations theory, interpersonal psychology, and self-psychology, each of which can be grouped under the general term “psychodynamic” (Horowitz, 1988). (Emphasis added.) This is from “Mental Health: a Report of the Surgeon General.”) For the full report see the Mental Health Report. 1. When was psychoanalysis developed? A. very different therapies that preceded psychoanalysis. B. contrary theories developed in reaction to psychoanalysis. C. related therapies that followed psychoanalysis. D. related therapies that led to the development of psychoanalysis. A.the idea that some mental processes occur outside a person’s conscious control. B.the belief that when a person is unconscious they are not aware of their environment. C.the conviction that people are unaware of much that happens around them. D. the idea that when people are sleeping their behavior may be strange. A.people’s previous experiences are not really important to understand. B. people’s minds and bodies work together. C. some people’s previous experiences are unpleasant. D. people don’t always understand the reasons for their actions. 7. Which of the following is NOT a goal of these therapies? A. to help patients be more cheerful and kind. B. to help patients recognize the roots of their behavior. C. to make patients conscious of the hidden part of their thinking. D. to enable patients to understand why they do what they do, so they can act differently in the future. A. make a better world. B. enable them to change some things in their lives. C. free them from all anxiety in the future. D. advance the cause of science. 2. C. This answer is also given clearly in the article. (Contrary means opposing.) The last sentence in the first paragraph calls them “variations that have been developed.” The first sentence makes clear that Freud’s (also called classical in the third sentence) was the first of these therapies. 4. B is the only likely meaning in this case, although ‘critical’ can also have the other meanings. 5. A. “The” unconscious refers to the part of the mind outside ordinary awareness.B & D refer to being unconscious, an adjective describing a condition in which a person is unaware of their surroundings. C is not really talking about being unconscious at all, although sometimes we speak of unawareness as not being very conscious of what is happening. 6. D is a restatement of the article. A is false according to psychodynamic theory, and B & C are true but not related to the theory according to the discussion in this article. 8. B. An inference is based on information that is not stated but is clearly implied by what is written. A, C, & D are grand goals, but there is no mention or even hint of them in the text. They are all too grand for the question-- more than a therapist could reasonably hope to accomplish just by helping a patient understand himself better. See Practice for Reading Tests for practice with a selection on American history. home> English Language Test Prep> A Practice Reading Test.